Need a Denver Legal Negligence Lawyer? Legal negligence is the term for what essentially amounts to legal malpractice. Similar to medical malpractice, when an attorney fails to properly represent a case, they may be able to be sued for legal malpractice. In these situations, you need a qualified Denver legal negligence attorney to fight for your right to justice. Some legal negligence cases may have to do with botched personal injury cases or other types of cases that did not end well, solely because of negligence on the part of the attorney. If this sounds like your case, then our Denver legal negligence attorneys may be able to help. As you may be able to probably tell, legal negligence is a complicated legal matter. You need to find a law firm that specializes in this area of law, not just any attorney that may only have experience with legal negligence from years prior in law school. 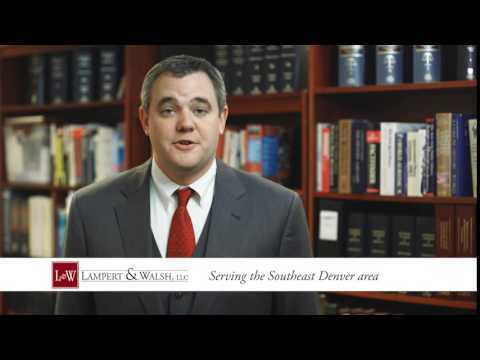 At Lampert & Walsh, LLC we have been working as Denver legal negligence attorneys for many years and have the skills necessary to achieve the best outcome possible for your case. When clients come to attorneys, it’s because they need help with their legal situations. Clients trust attorneys to do their jobs, especially if they have been retained after paying retainer fees. The failure to properly represent a case is the failure to protect a client’s rights and ensure that they receive due justice under the law. If you believe you are a victim of legal negligence, contact us today and let us give you a free consultation to discuss the specifics of your case. Let our Denver legal negligence lawyers evaluate your case and see if there is something that can be done for you.